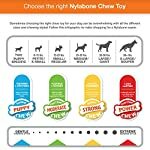 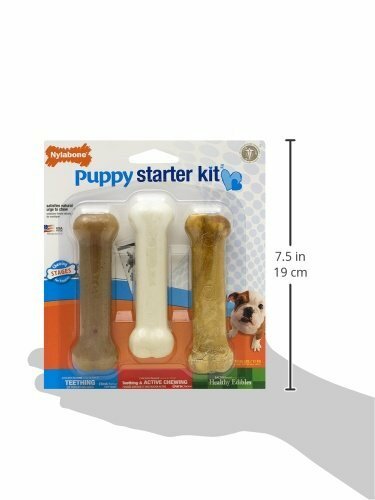 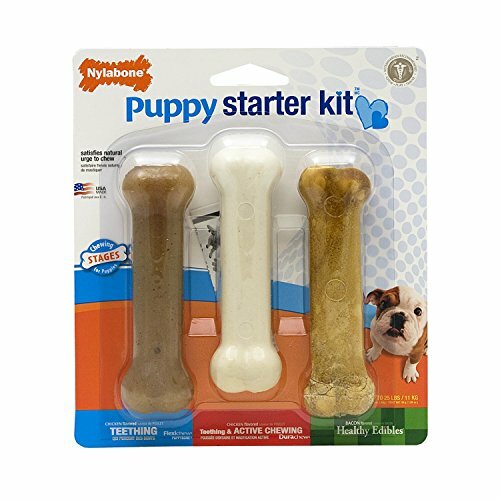 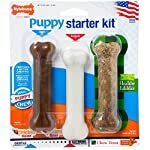 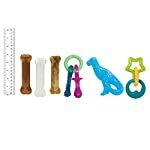 This Puppy bone Starter Kit from Nylabone is the perfect pack of chews for your growing pup. 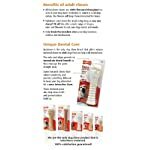 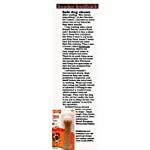 Three specially formulated Bones that help the growth and development of your pups ever changing teeth and jaws. 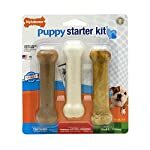 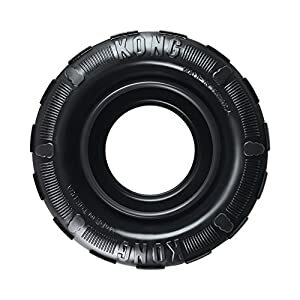 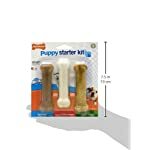 In this pack you have a Puppy bone Flexi, the perfect chew companion for your Puppy’s first chew bone. 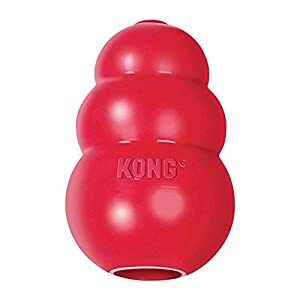 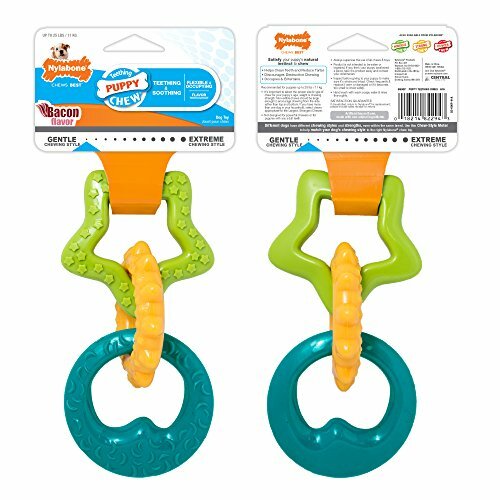 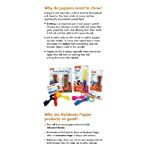 Made from durable Nylon, the Nylabone discourages destructive chewing and promotes appropriate, healthy chewing. 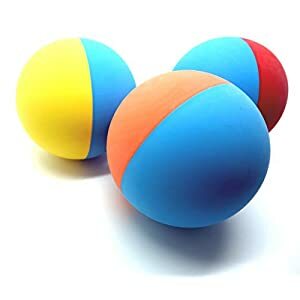 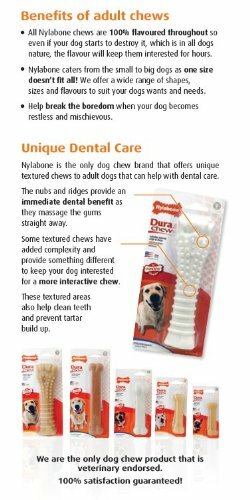 As your pup chews, the surface of the Nylabone becomes rougher, creating bristles, which help clean teeth and control plaque and tartar build up. 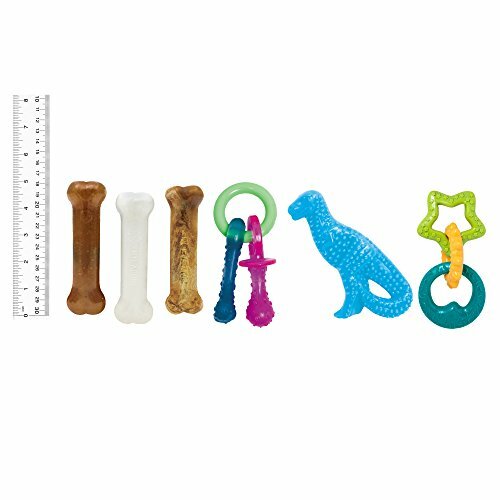 Please be aware, although non toxic, the Puppy Nylabone Flexi is not intended for complete consumption but small pieces i.e. the size of a grain of rice, will pass through naturally, if your pup is able to chew larger pieces, remove immediately. 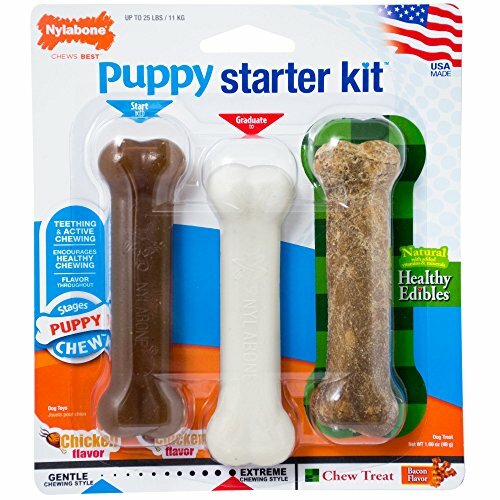 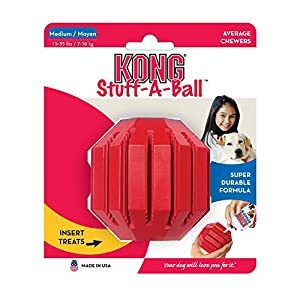 Puppy bones are not designed for powerful chewers or puppies with any adult teeth. 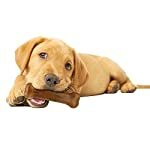 For when your puppy has its permanent teeth, try the Durable Chicken Flavour Nylabone and the Healthy Edible Bacon Flavour bone, with its Gluten Free Formula, this bone is completely edible and will make a great treat. 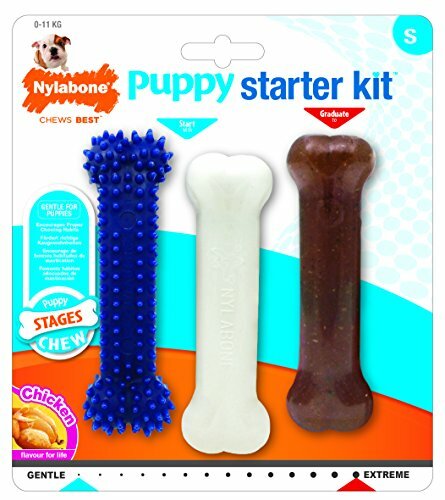 Inspect your Nylabone regularly and replace when knuckles are worn away. 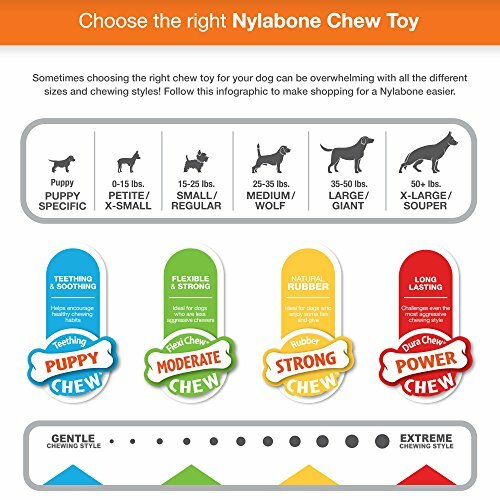 If you feel your pup needs something a bit tougher maybe try the Nylabone range for Moderate or Powerful chewers.